Q: I am in the early stages of desgning a website for a client and am looking for a particular menu script. I came across your site ad am impressed with the options. However, I am haivng trouble finding something that will do what the client is looking for. 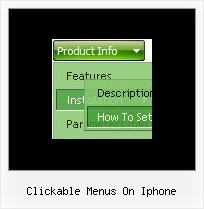 With a horizontal menu bar across the top, a drop down sub-menu appears but the menu items appear side by side insdie of in a column. I was hopeing that one of your options might be able to handle this type of menu but I do not see that there is a script for it. Is that true or is it possible to achieve this example in a setting in one of your scripts. You can create any style of the menu. XTEnsion 5530 | XTEnsion C6-01 For 5530 Now Available For Download!